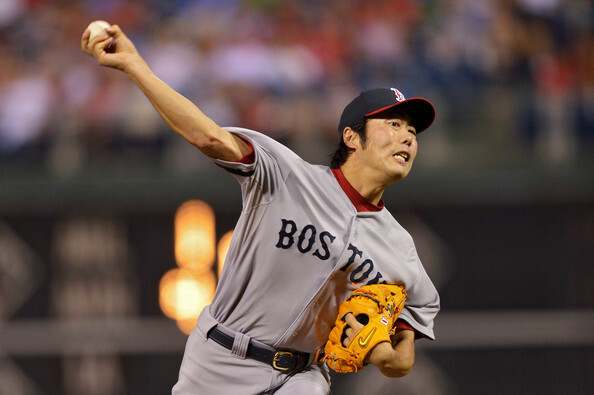 Big news on the injury front this week with a few players, and Koji Uehara is the latest to go down. The Red Sox closer's MRI came back to show a broken wrist, and he will miss the rest of the season. Junichi Tazawa will likely get the nod in save situations for the remainder of the season. Sticking with the bullpens, Sean Doolittle is heading out on a rehab assignment this week. I am not jumping the gun to go grab him due to the earlier return this season, where he remained in a non-closer role, before heading back to the DL. Alex Wilson had some shoulder tightness over the last few days, and he is the closing man for Detroit as of now. Definitely a situation to keep an eye on if you are chasing saves. Jose Fernandez was also big news this week, as he has a strained bicep. Good news is no structural damage, but a timetable for 2015 is in question. Some bigger names are getting closer to returning, David Wright is heading out on a rehab assignment this week. With his back issues, this is something to wait and see how his body responds before getting excited with his return. Miguel Cabrera is schedule to run the bases this week, and has been taking batting practice of late. He will still need a rehab assignment, but the Tigers' first baseman should be back before the end of the month. Mookie Betts will be activated later this week, after hitting the 7 day concussion DL. He will take a quick rehab game to get back into the swing of things. His teammate Dustin Pedroia has begun to ramp up baseball activities, and could also be nearing a rehab assignment. Josh Harrison was expected to be back in September, but he is beginning rehab assignments this week, and should be back very soon. After a slow start, he looked like his 2014 self before going down with the thumb injury. If he is out there in you league, he is definitely worth a pickup. News has not changed for Giancarlo Stanton, his finger is still an issue during batting practice, and the timetable is uncertain. Jason Kipnis could be back within the next 7-10 days, after hitting the DL with shoulder inflammation. Joe Panik is due back at the beginning of next week, tests showed no damage on his lower back. Justin Turner is also on his way back this week, and perfect timing given Howie Kendrick going down with a hamstring strain. Devon Travis is back in a familiar spot, and has no timetable for a return.